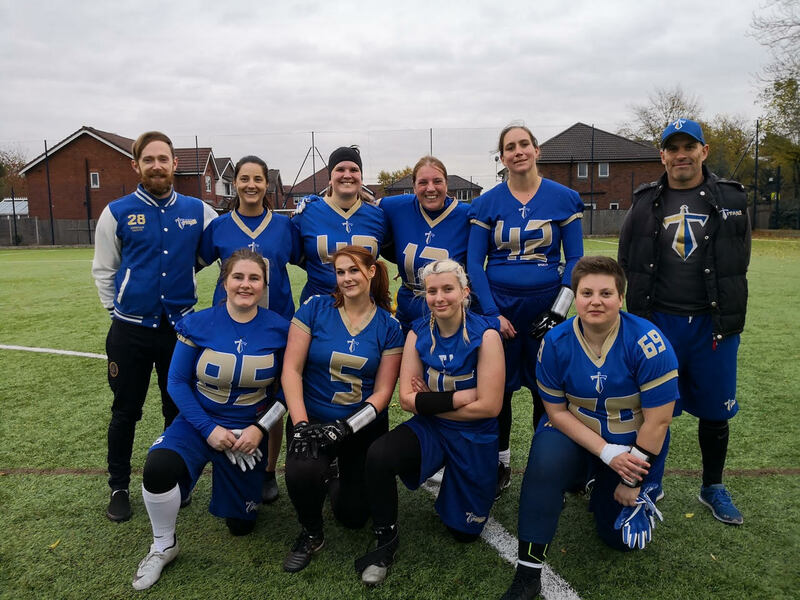 The Manchester Titans Women’s Flag Team hosted the 3rd Opal Series Tournament on Saturday 3rd November. 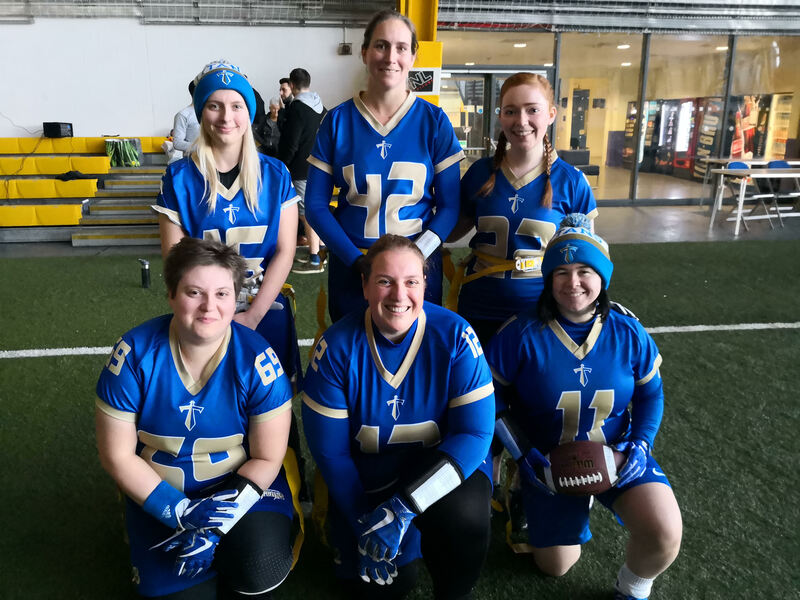 First up was the Sheffield Hallam Warriors and the Titans Offense struggled to get anything going as they went down 44-0. 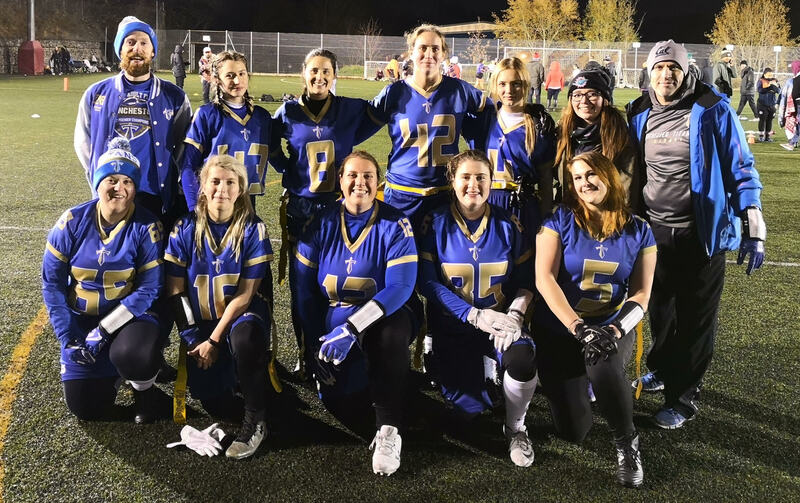 The next game saw a dominating defensive performance by the Titans as they intercepted the Sheffield Hallam Rangers quarterbacks 10 times, with Keely Edmonds recording 6 INTs, Emma Jones 2 INTs and Becky May and Natalia Bradford both recording an INT each. Vicky Evans added a tackle for loss and the team recorded a 2 point safety. 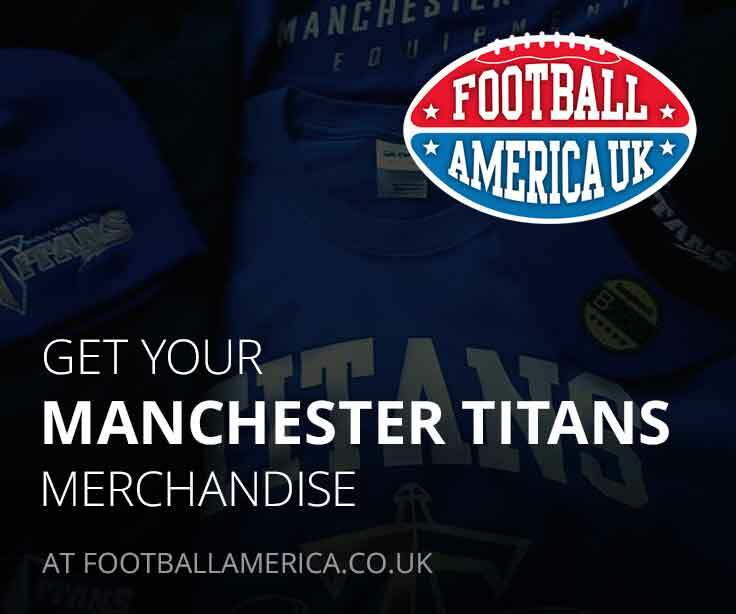 Offensively, QB Brianna Hartridge threw 10 TDs, 5 to Edmonds, 3 to Evans and 2 to Morwenna Jessop as Manchester recorded their largest victory of the season 68-6. The Final game of the day was against the top ranked East Kilbride Pirates. After the Pirates struck first, the Titans came back with a TD pass from Hartridge to Edmonds with Evans adding the XP. However as injuries and fatigue began to take it’s toll, the Pirates pulled away to a comfortable 67-7 win. The final tournament of the regular season takes places at Ravenscraig Indoor Facility in Motherwell on Saturday 17th November.